I'm happy to announce the volunteer project I have been working on with the Swiss Red Cross is happening! 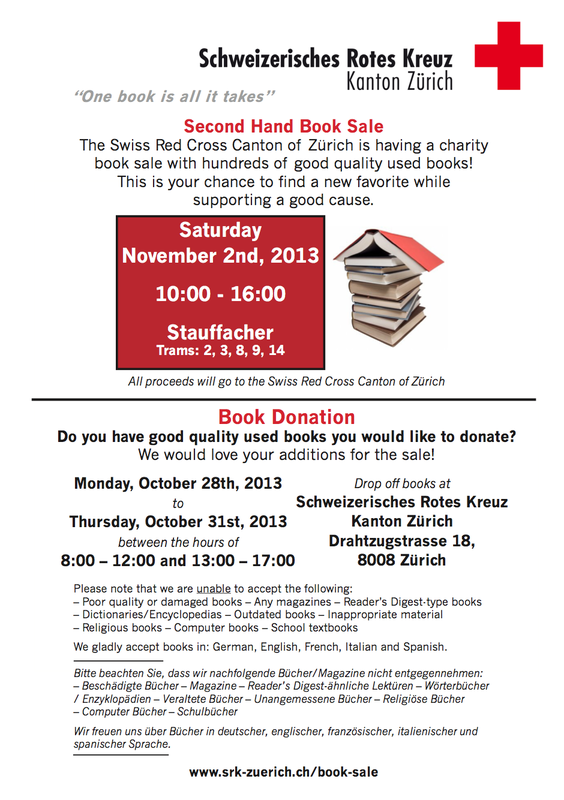 With the English-speaking volunteer committee, we've organized a charity book sale to take place November 2 at Stauffacher. You can even donate books for us to sale or just come and buy a new-to-you book for yourself while supporting a good cause. Check out the details below or on the SRC website. Special thanks to Pile of Books for donating to the sale and to all those who have helped promote the event through their networks. We couldn't have done it without you!